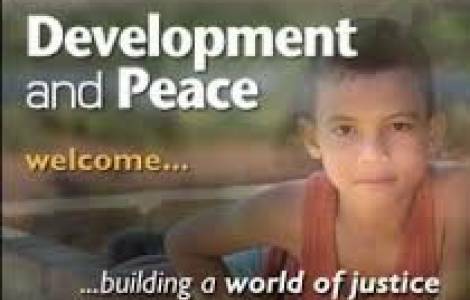 Ottawa (Agenzia Fides) - To mark the 50th anniversary of the Canadian Catholic Organization for Development and Peace – Caritas Canada in 2017, His Exc. Mgr. Douglas Crosby, O.M.I., Bishop of Hamilton and President of the Canadian Conference of Catholic Bishops (CCCB), has issued a Pastoral Letter, sent to Fides, entitled "Toward the Future, United in Faith and Trust". In the introduction Mgr. Crosby extends "deepest gratitude" along with encouragement, for this organization. He then asks the Bishops "to continue to support the vision, mission and mandate given by our predecessors in 1967: to assist the poor and the oppressed people of the world in their struggle for justice and to educate us in Canada about the problems of underdevelopment". He also appeals "to clergy, consecrated persons and laity" to work closely with and support Development and Peace/Caritas Canada.